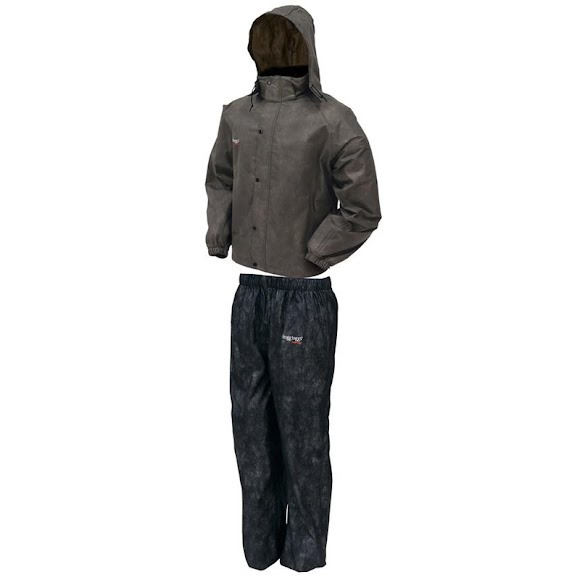 Frogg Togg's All Sports Suit is a blend of classic Frogg Toggs non-woven materials that provides great waterproof and breathable performance at a terrific value. The Classic 50 non-woven jacket, combined with the original Classic 30 non-woven pants, are guaranteed waterproof and great fitting. Frogg Togg&apos;s All Sports Suit is a blend of classic Frogg Toggs non-woven materials that provides great waterproof and breathable performance at a terrific value. The Classic 50 non-woven jacket, combined with the original Classic 30 non-woven pants, are guaranteed waterproof and great fitting.